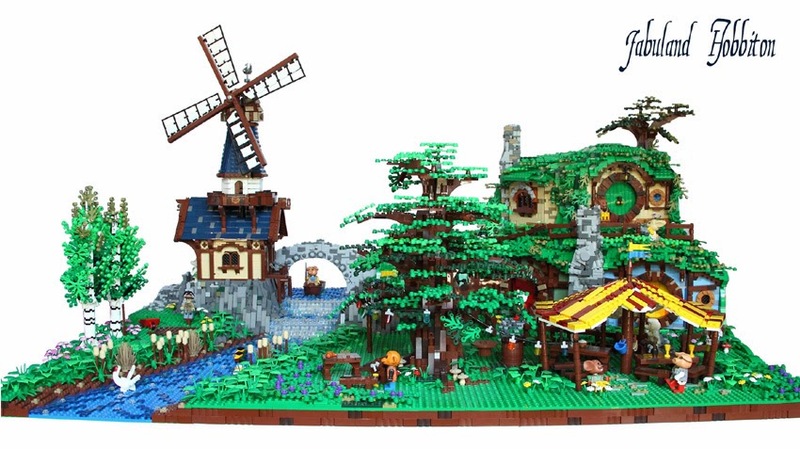 Eurobricks member and LEGO Fan Gabe has shared his latest creation "Fabuland Hobbiton" in Eurobriks forum and in his Brickshelf gallery. This creation is a layout he prepared for Brikvention 2014, a LEGO convention that took place in Melbourne. 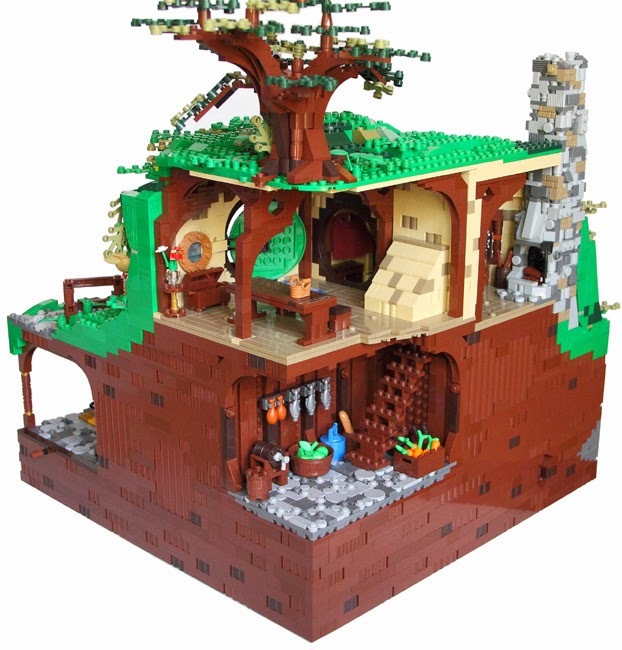 His amazing layout succesfully combines the world of Fabuland with the Hobbiton from the Lord of the Rings. 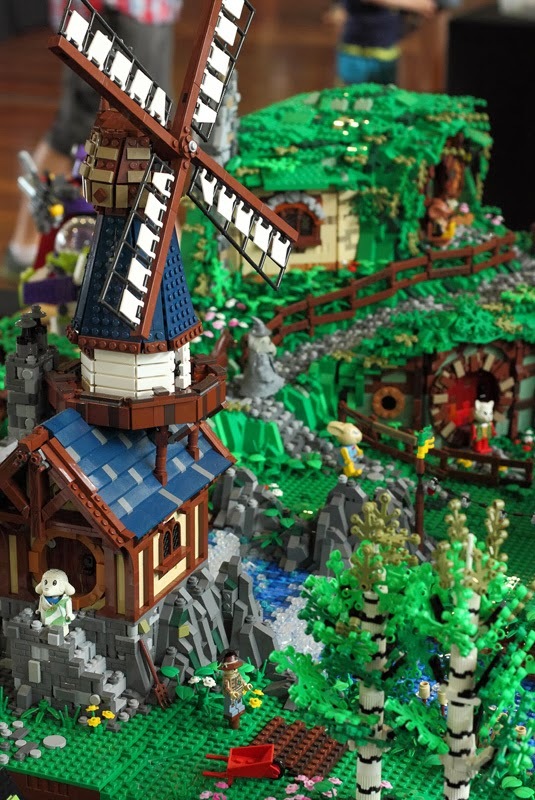 Hobbit houses with fully decorated interiors, motorized windmill and a beautiful waterfall are some of the great features from the layout.